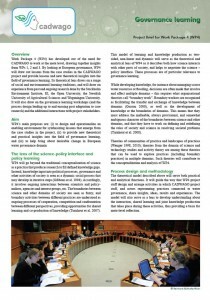 The main purposes of the work package ‘Governance learning’ are: (i) to design and operationalize an enabling environment for synthesizing lessons that emerge from the case studies in the project, (ii) to provide new theoretical and practical insights into the field of governance learning, and (iii) to help bring about desirable change in European water governance domain. Work Package 4 has developed out of the need for CADWAGO to work at the meta level, drawing together insights from WPs 1, 2 and 3. 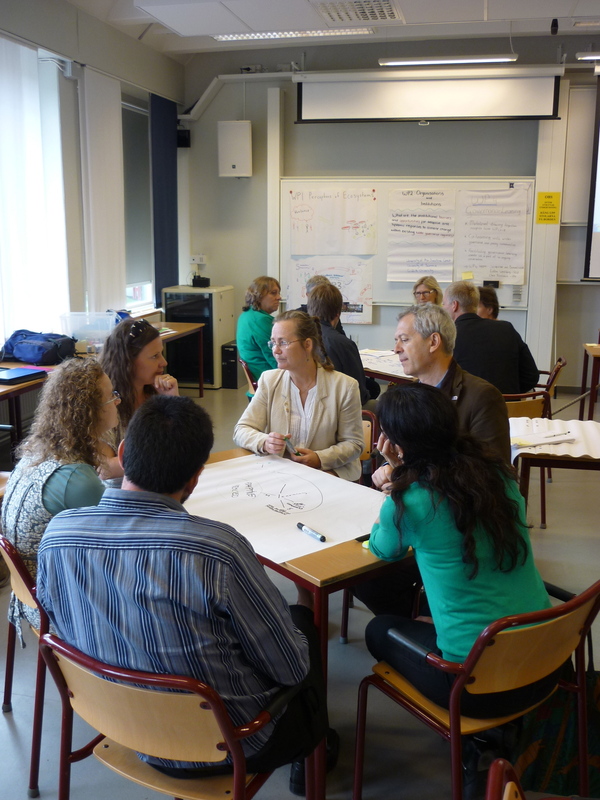 By looking at European governance, WP4 will draw out lessons from the case studies in the CADWAGO project and provide lessons and new theoretical insights into the field of governance learning. 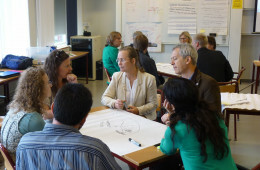 Its theoretical lens draws on a range of social and environmental learning traditions, and will draw on experience from past and ongoing research done by the Stockholm Environment Institute, SEI, the Open University, the Swedish University of Agricultural Sciences and Wageningen University. It will also draw on the governance learning workshops (and the process design leading up to and ensuing post adaptation to case research) and the additional interactions with project stakeholders. This work package is led by WUR, the Netherlands. Main contacts are Dr. Severine van Bommel (severine.vanbommel-at-wur.nl), Dr. Chris Blackmore and Dr. Jasper de Vries. More information is available in the Project brief.